Villa Melzi d’Eril was created as the summer residence of Francesco Melzi d’Eril, vice president of the Italian Republic that was founded by Napoleon in the early 1800s. Located in Bellagio, this vast complex is one of the most popular attractions among tourists who visit the Pearl of Lake Como. Unfortunately, Villa Melzi is not open to the public but you can visit its gardens, designed by architect Luigi Canonica and agronomist Luigi Villoresi. 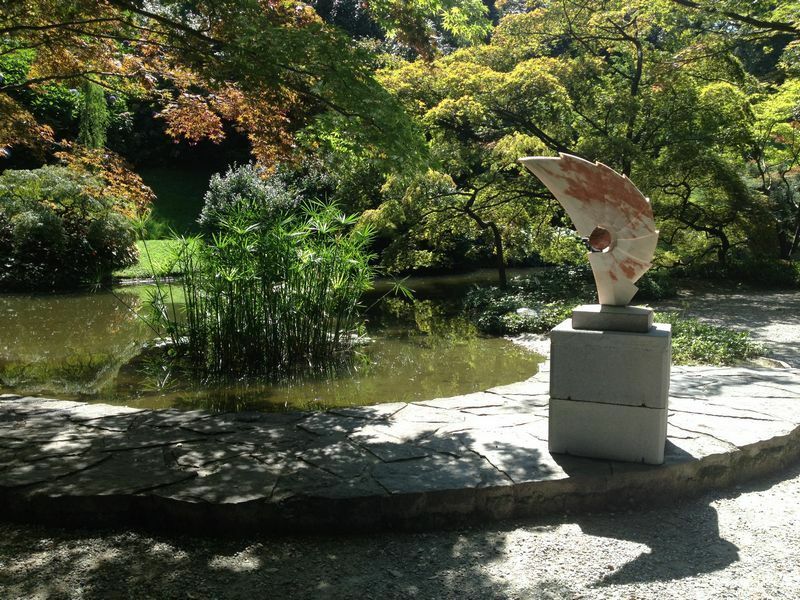 Experience a fascinating walk in the Villa Melzi gardens, and enjoy the perfect balance between architecture and natural beauty. The complex of Villa Melzi d’Eril includes the villa and the vast botanical garden that surrounds it. The villa was built in neoclassical style and hosts valuable decorations by Antonio Canova, Andrea Appiani, Giovan Battista Comolli and Giuseppe Bossi. 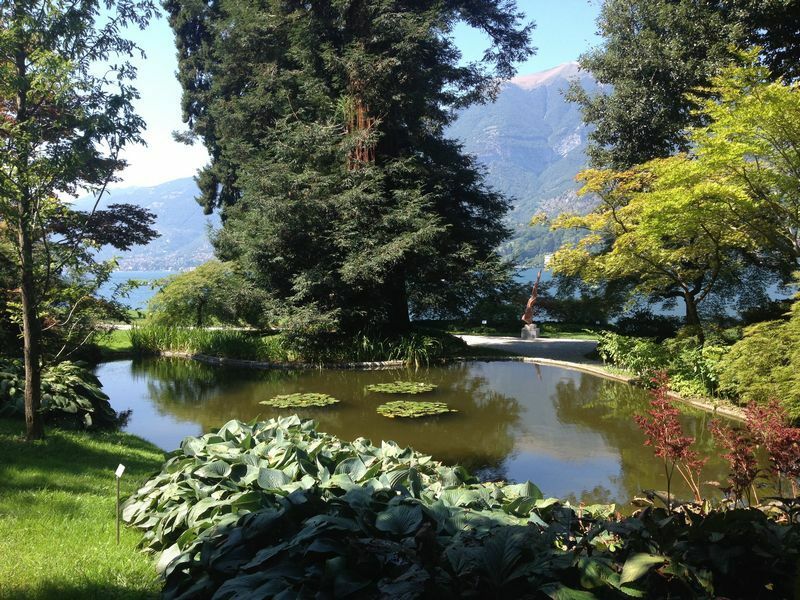 The Villa Melzi gardens are preserved with great care by the family Gallarati Scotti, the current owners. A long avenue of plane trees begins at the landing of the boats. Gardens of azaleas and gigantic rhododendrons surround the villa, enclosing small spaces such as the hidden cave or the artificial pond in Japanese style. In the Orangery adjacent to the villa there is a small museum, which exhibits Napoleonic memorabilia, evidence of Duke Francesco Melzi d’Eril’s loyalty to Napoleon. The Villa Melzi gardens also have many exotic and rare plants which alternate with secular trees, big camellia hedges, and many other plant species. 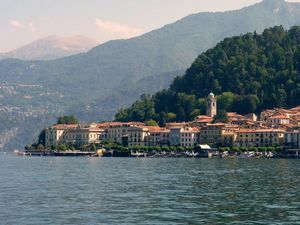 This gives you the opportunity to take a walk through one of the most enchanting places around Lake Como. Don’t forget to take a look at the elegant terrace and the statues placed in the flower-beds, which were created as a part of the original design of the garden. Villa Melzi d’Eril was built between 1808 and 1815 by the architect Giocondo Albertolli for Francesco Melzi d’Eril. Since its construction, the villa has hosted many notable people, such as the Austrian Emperor Ferdinand I, along with his wife Maria Anna of Savoy. Franz Liszt, composer and virtuoso pianist, was also a frequent visitor of the villa. Some say that it was there he wrote one of his most famous pieces, Dante Symphony, during his stay in the small Arabic-styled temple of the villa. 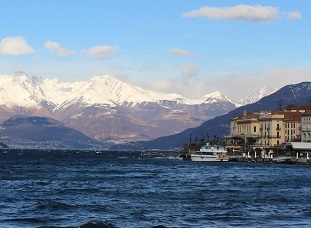 The splendid view of Lake Como and the beauty of the Villa Melzi gardens and monuments were beautifully described by writer Stendhal in his “Rome, Naples et Florence” diary, and were also evoked in his novel “La Chartreuse de Parme”. The Melzi dynasty was followed by the Gallarati Scotti family, which still takes care of the villa and its gardens.